Your Next Stamp and Perfect Paper Crafting Blog Hop! Hello! 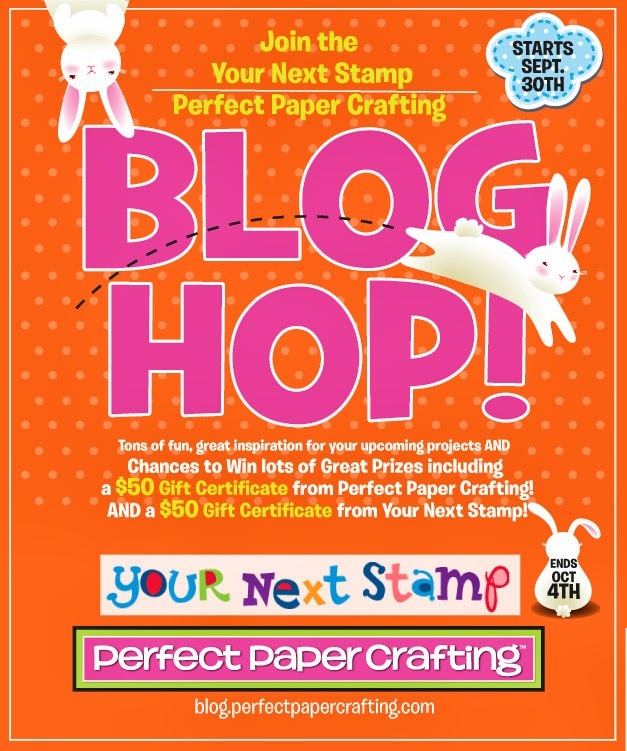 Your Next Stamp is so excited to be teaming up with Perfect Paper Crafting for an amazing blog hop! The hop begins on The Perfect Paper Crafting Blog, and if you've been hopping along, you should have arrived from Jenny's Blog! If you hop along and leave comments on all of the blogs along the way, you will be entered to win a $50 Gift Certificate from Perfect Paper Crafting, and a $50 Gift Certificate from Your Next Stamp! You have until Friday, October 4th at midnight (PST) to hop. 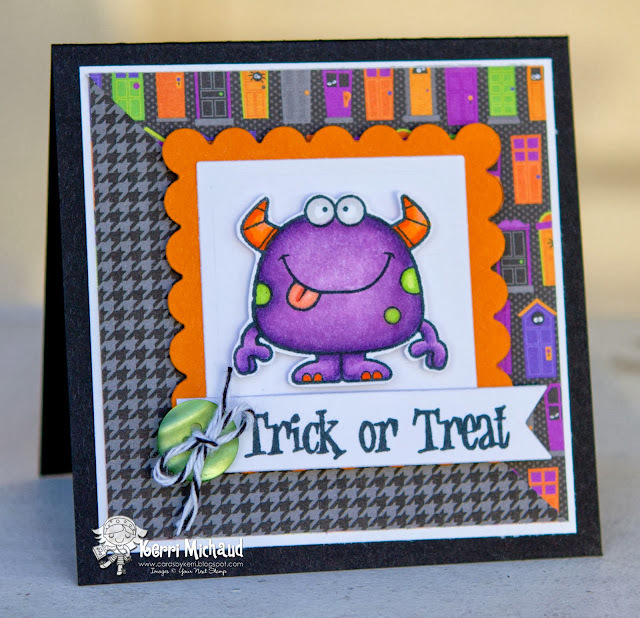 I created a couple of fun 4"x4" cards using this adorable new stamp set from Your Next Stamp called Silly Monsters. I just love these guys! 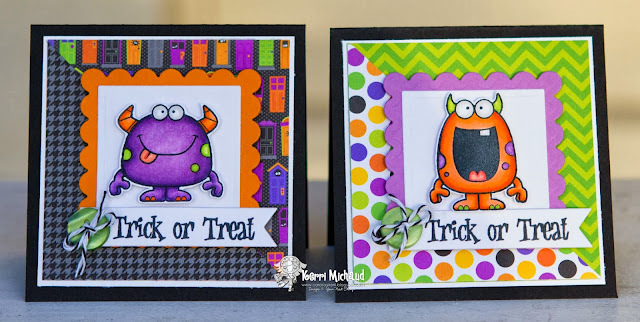 I decided to pair them with a fun Halloween sentiment from the YNS set Trick or Treat, which I stamped onto a YNS Fishtail/Banner Die. The dp I used is Doodlebug Halloween Parade. Both Your Next Stamp and Perfect Paper Crafting are offering some fabulous hop specials! 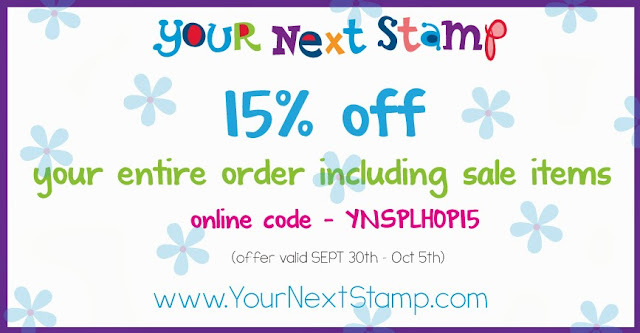 Your Next Stamp is offering 15% off all orders with discount code YNSPLHOP15. 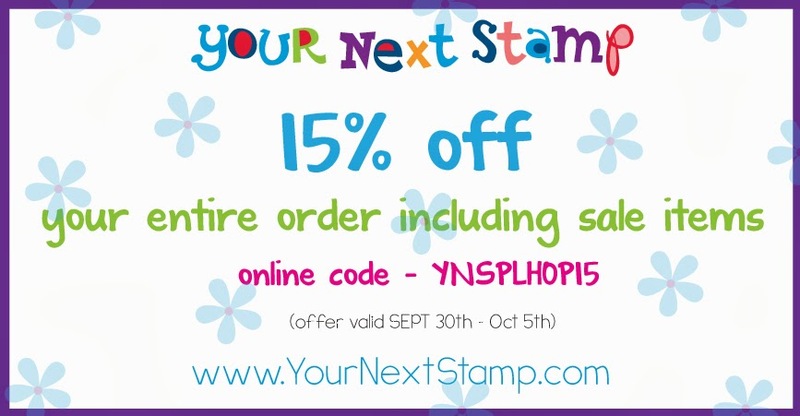 And Perfect Paper Crafting is offering a 5% discount on all orders using code YNS5%. Now it's time to hop on over to Kim's Blog, but don't forget to leave a comment before you go! Happy hopping and shopping! Ack! These are ADORABLE! Perfectly bright and perfectly Halloween! These Monsters just crack me up, love them! awesome cards for wee ones. Thanks so much. Love the colours. Absolutely love these, Kerri !!! They make me smile !! Love the bright colors, layouts -- & papers!! Your layers are perfect --& I'm excited to get my silly monsters in the mail !! So funny, loving all these bright colors too! Perfect two little cards. I just love how cute and colorful they are. totally awesome colors and these cards are just cute, cute, cute!!! Awww...I smiled out loud! These are so cute! Thanks for sharing - it's been fun hopping along with you today! Eeek! These are so bright, fun, and totally CUTE! Love your little monster cards. So happy, they make me smile. TFS! Colorful and fun! Great layouts to showcase those 2! So cute - love the bright colors. So sweet ~ if monsters can be sweet. The bright colours and papers are perfect for Halloween. Those are incredibly cute monsters! Hi, Kerri! 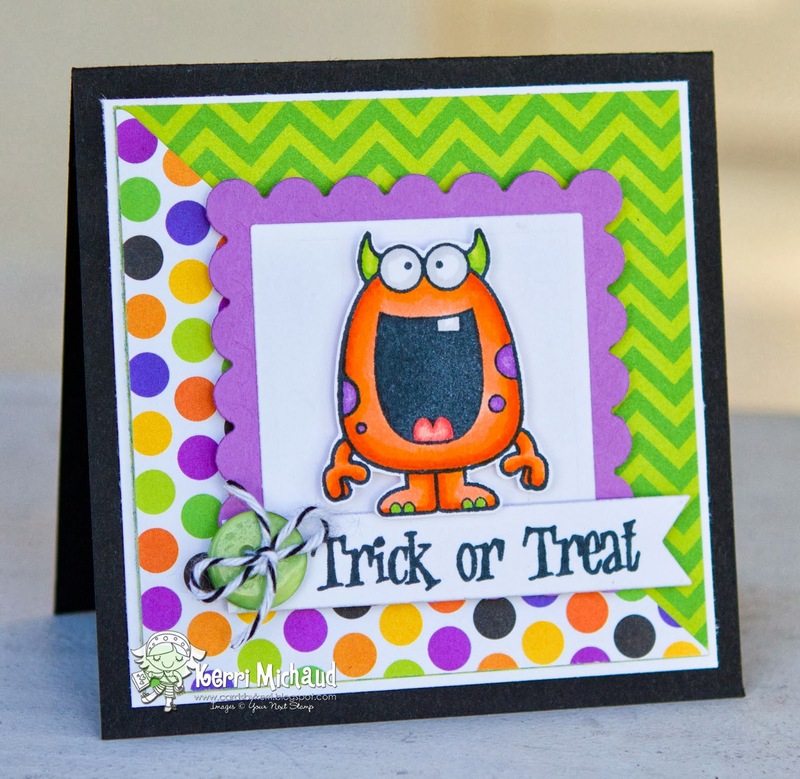 Just had to pop over here and tell you how adorable these little monster cards are! Hey, did you see Jeff is movin' on up? :-) I would love to see him win a 5th championship! Adorable cards. I love how that tool cuts perfect at a angle. I need to put perfect layers on my wish list!! Heheh, these are super cute! Love them! What adorable cards!!! 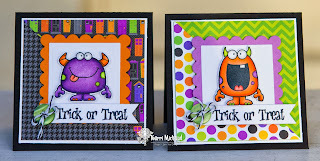 Love the diagonal cut and the frames for the 'monsters.' Just too cute! I love that door paper to go with the movie. Perfect for these two monster images. Love the clean design and square shaped cards. Fabulous Halloween cards. Greetings from MI. Love these mini cards...they are so cute and love the choice of colours. How cute!!! love your layout and your papers are so fun! what fun and colorful cards! How sweet!! I love all the patterns! !